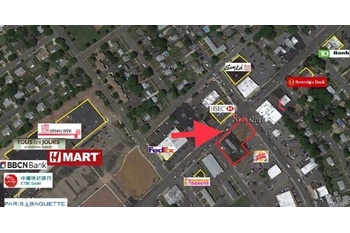 Free Standing Commercial Building At Excellent Location With High Visibility At Traffic Controlled Intersection. Free Standing Commercial Building At Excellent Location With High Visibility At Traffic Controlled Intersection.10,500 Sf On .6 Acres, 14000 Building Size, Previous Tenant Is Paying About $350,000 Annual Rent With Triple Net Lease. 10% Cap Return. Excellent For Investors Or Self Use.